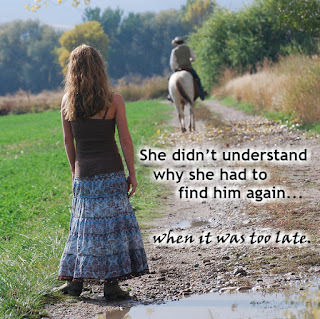 Happily Ever After Thoughts: WHEN LOVE CHIMES (Broken Valor #1) by Lexi Post - Released! 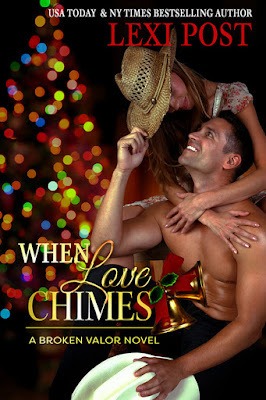 WHEN LOVE CHIMES (Broken Valor #1) by Lexi Post - Released! When Love Chimes (Broken Valor #1) is out! 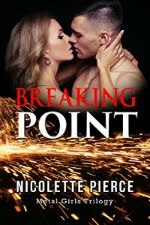 This book is the prequel to Desires of Christmas Present from A Christmas Carol series AND it's the book before Poisoned Honor in the Broken Valor series. 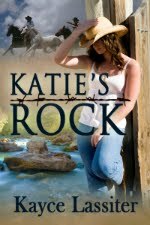 As if cocktail waitress and horse trainer Lynzie Mullins didn’t have enough problems, she discovers she’s pregnant just as her high school crush rides back into town in time for Christmas. He’s a constant reminder of the happily ever after she’d always dreamed of instead of the mess she’s in now. Cowboy veteran Ryan Crawford reluctantly returns to Lucasville to help his grandfather sell his place. The town has changed and so has Lynzie—from an awkward teenager to an attractive young woman with a caring heart. Despite his best efforts, Lynzie’s not interested in leaving Lucasville, so Ryan offers her what she wants—his heart. Unfortunately, that proves not to be enough. Now he has a decision to make. Give up his dream farm or his dream girl. “I’m pregnant.” Lynzie Mullins stared at the word “yes” on the home pregnancy test-strip. Joy, fear, and anger collided inside her. Lynzie took the stick back, still stunned. How could this have happened? Sure, she wanted children someday, but she’d like to have a husband first. Cocktail waitressing wasn’t the most lucrative profession, and the only horse farm in town was falling apart, so training horses was out. “You aren’t going to tell him, are you?” Coco’s question pulled her back from her worried thoughts. “We do.” But she’d stopped taking the pill because of the expense. Besides, Andrew could afford the really good condoms. She flopped down on the couch. Would Andrew help with child support? Would he insist on a DNA test? How much would that cost? Maybe he’d ask her to marry him. Who was she kidding? He was nice and he liked getting into bed with her, but she knew he considered himself above her. He came from the new section of Lucasville. They had fun together. It wasn’t as if they were in love and while she hadn’t slept with anyone while with him, she was pretty sure he had a few other women he saw on a regular basis. A perk of having money. Coco sat down next to her. “What are you going to do?” Her friend’s eyes were honestly concerned. Coco had too soft a heart. She also had a weird ability to recognize people who were soulmates, though she never volunteered that information. “A bit? 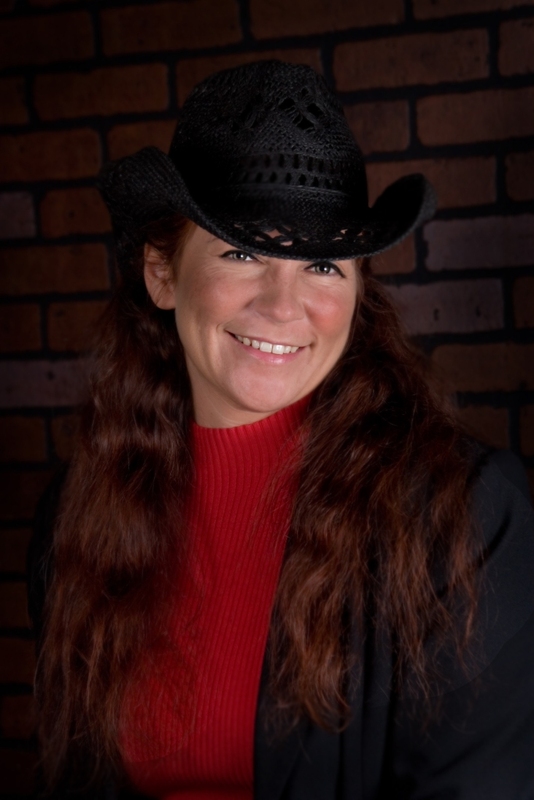 If it was me, I think I’d faint.” Coco laid back over the arm of the couch with the back of her hand on her forehead. They sat in silence a few minutes, Lynzie still staring at the word “yes.” It probably wasn’t going to magically change to a “no” just because she wanted it to. Sighing, she rose and threw it away. A knock at her door stopped her. She stood to answer it, and Coco put her finger to her lips. If it was Andrew, she’d keep the baby stuff to herself…until she’d had a doctor’s visit. A man with dark hair and a white cowboy hat stood there filling out his blue t-shirt to its max, the outline of his pectorals clear as day. Her entire body took notice.